100% natural mixed tropical dehydrated fruits consisting of sugar cane, tejocote, guava, apple, raisins, plums, pineapple. 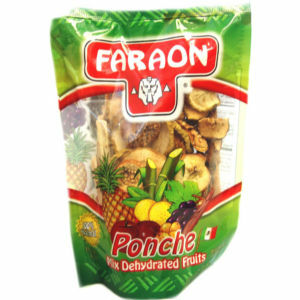 This bag will yield 3 liters of "ponche" which is a traditional natural fruit juice derived from different exotic fruits that have been dried at their peak to retain their maximum sweetness. Enjoy.